Ahoy-hoy! Sorry, I couldn't help it. It's just not a phrase that works itself into conversation very often. How does it tie in today? Ahoy Soap Company, obviously. 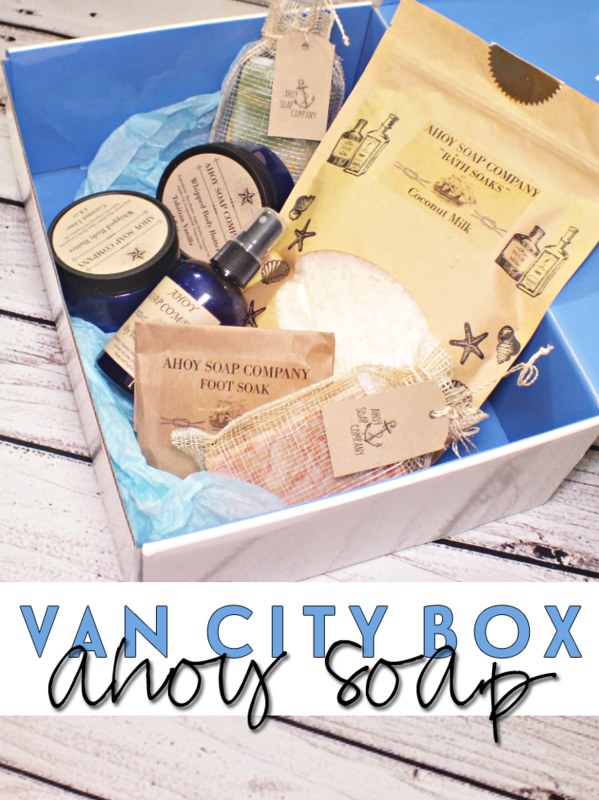 It's all about the small business and their amazing small batch products I was able to discover thanks to Van City Box. I know, it's been very subscription box-y around theses parts, but there are so many that just don't get enough attention. 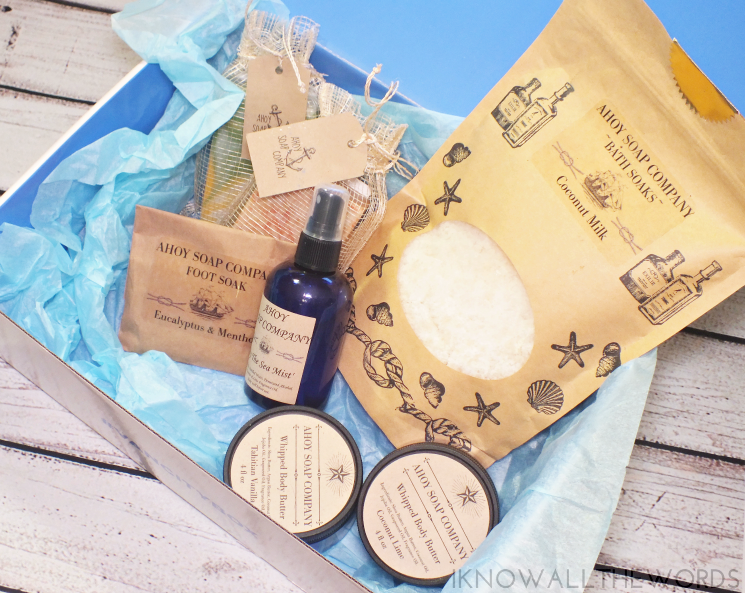 Van City Box focuses on finding great products made in Vancouver and the surrounding BC areas. 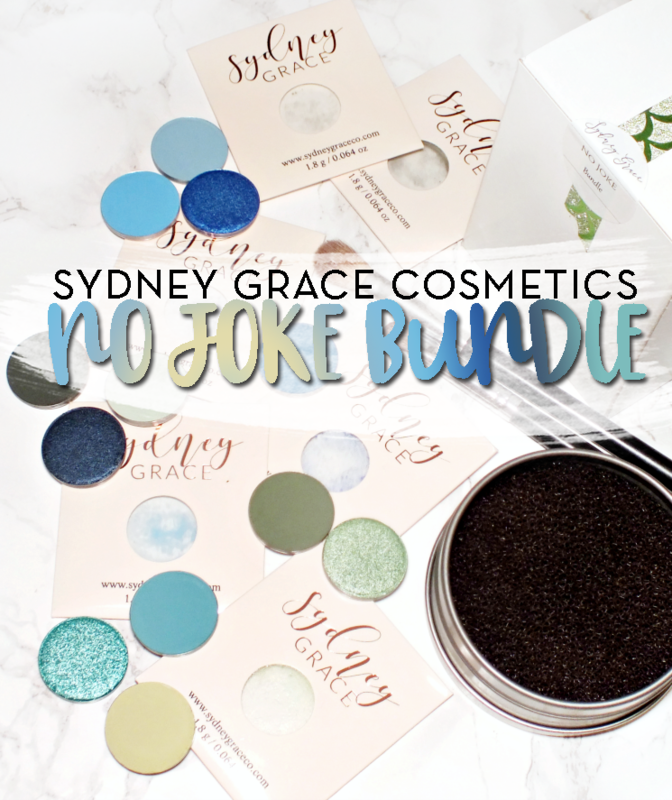 They're all about discovering products made locally and supporting small business. I may not live in Vancouver, but I can definitely get behind their cause. 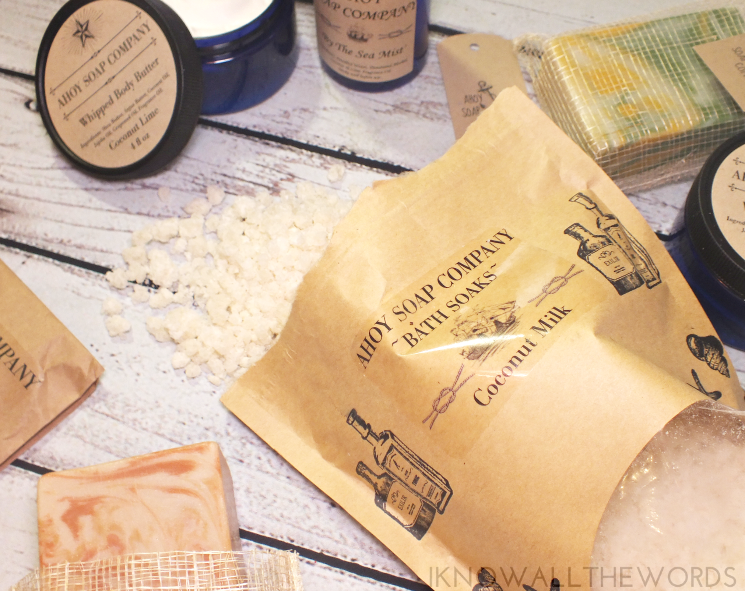 It only makes sense to start with Ahoy Soap Company soaps. The hand made bars feature a base of olive, coconut, and castor oil with natural add ins like clay, pumice, and pure essential oils depending on the bar. Neither of the bars I received are scrubby options, but the swirly bars do smell incredible. The blend of oils in the formula make them quite hydrating and leave skin fully cleansed, but soft and silky too. 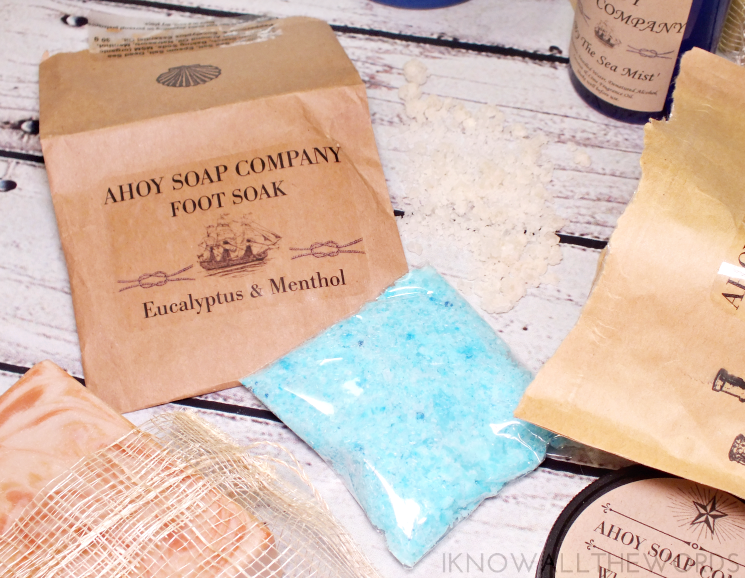 Although, Ahoy does offer the Eucalyptus & Menthol Foot Soak, made just for feet. The concentrated foot soak combines pure organic menthol, eucalyptus, and peppermint essential oil to soothe feet, while MSM (organic sulfur) and salts detoxify. 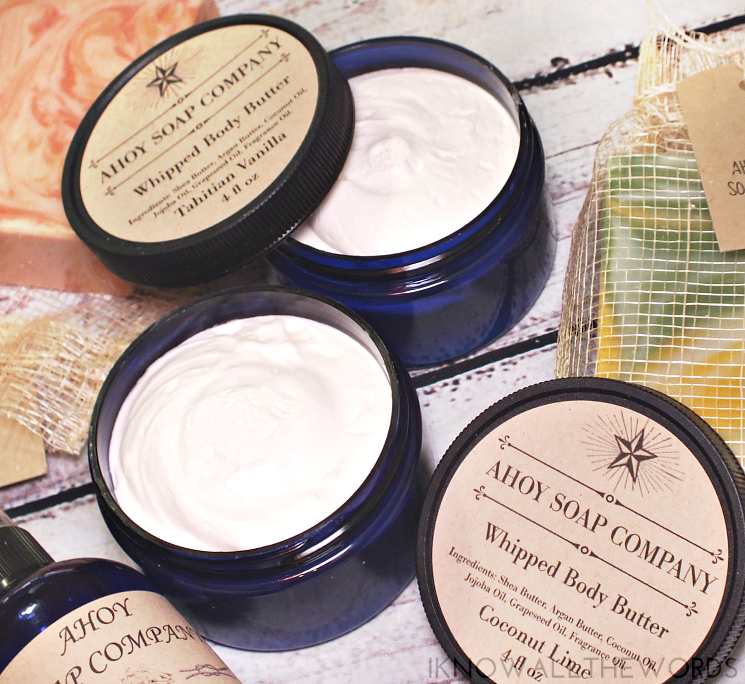 My instant favourite from Ahoy Soap Company are their amazing Whipped Body Butters. The concentrated butter has no water or alcohol in the formula, so the smallest amount gets the job done. 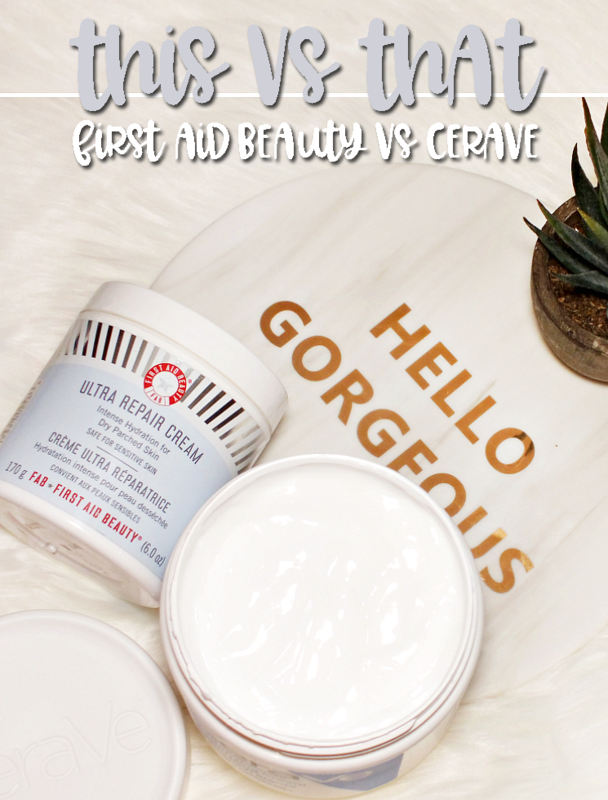 The butter has a light, whipped feel that is instantly hydrating on skin with no greasy feel or residue. I received the Tahitian Vanilla and Coconut Lime scents and I can't get enough of either, although Coconut Lime has been the one I've used most so far. Unseasonable, sure, but so good! I'm able to double up on the Coconut Lime scent with the By the Sea Mist. 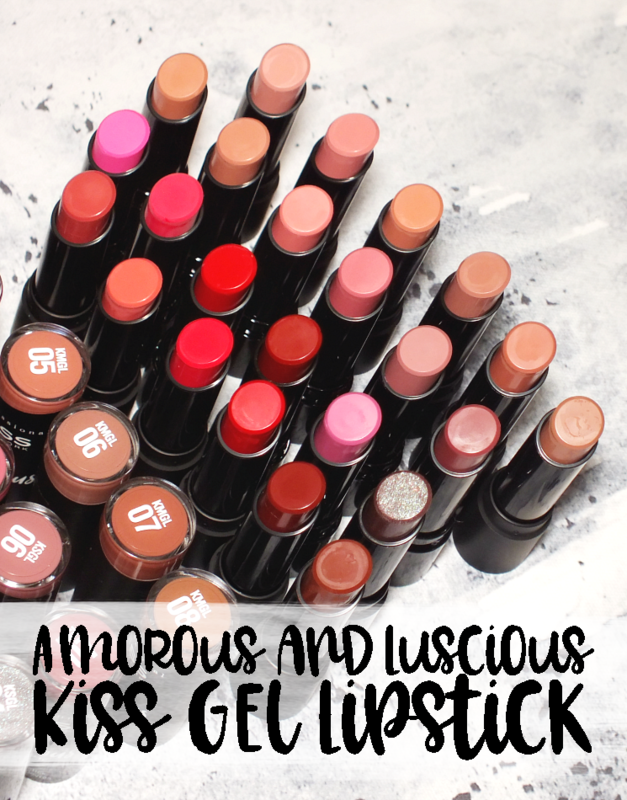 It has the same delectable scent that leaves skin subtly scented. 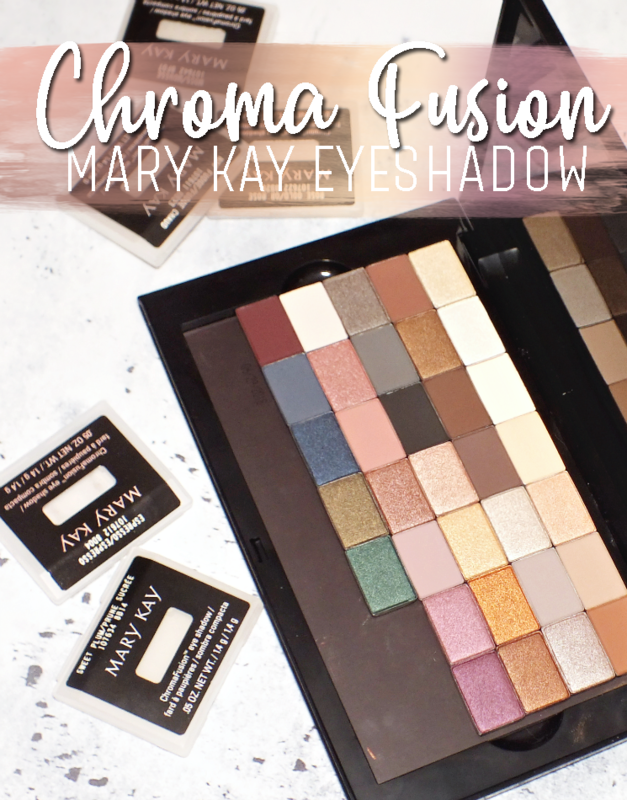 The formula features natural essential oils for a naturally sweet and citrusy scent. 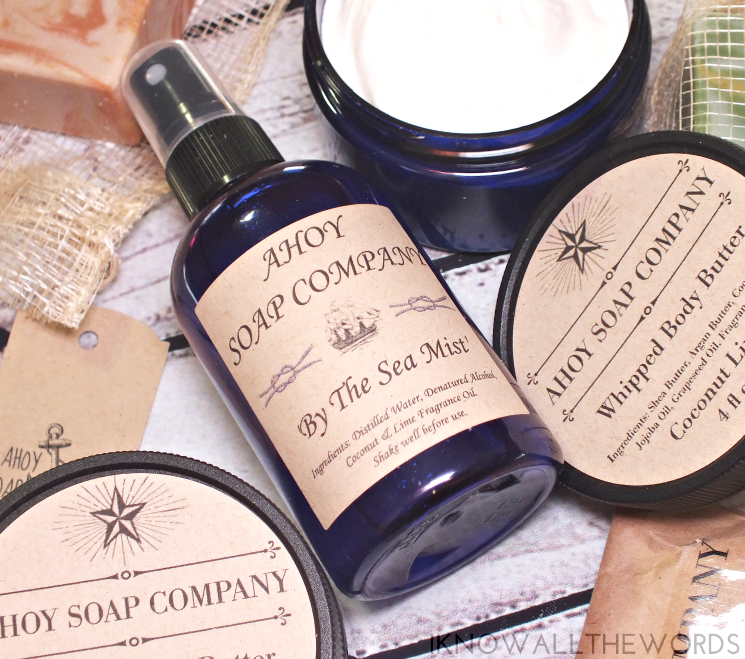 Overall, I'm really enjoying Ahoy Soap Company! I likely wouldn't have discovered that it not been for Van City Box, so their mission was successful. If you're in Canada, subscriptions cost $49.95 (free shipping in BC, anywhere else in Canada is an additional fee) on a month-to-moth basis. 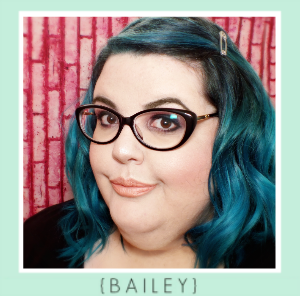 I love that they include a variety of items (think candles, art, snack, soap...etc.) so each month is new and unique. 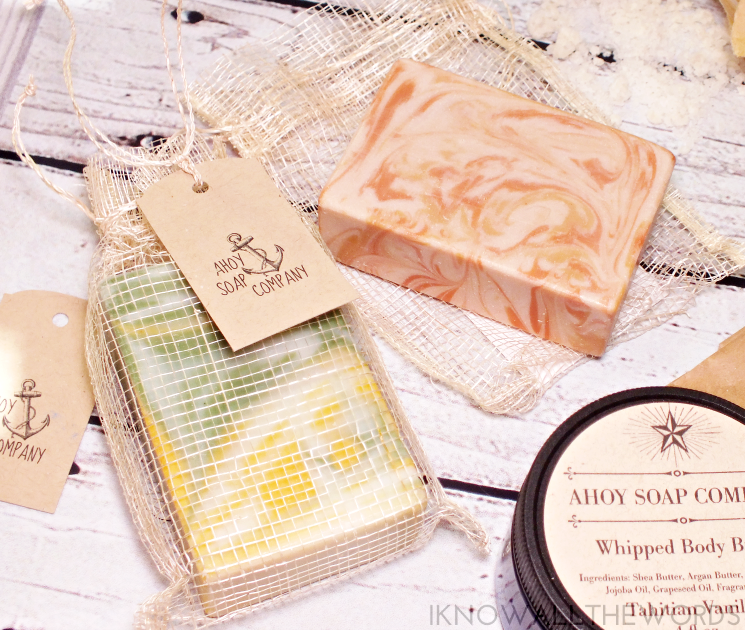 Find Ahoy Soap Company on Facebook and Instagram for more product info and were to buy. What do you think? 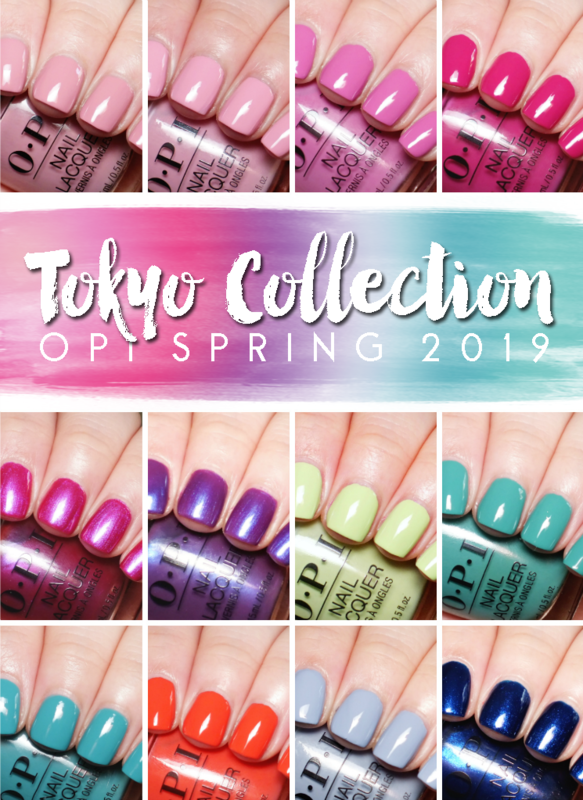 Do you like to support local brands/business? 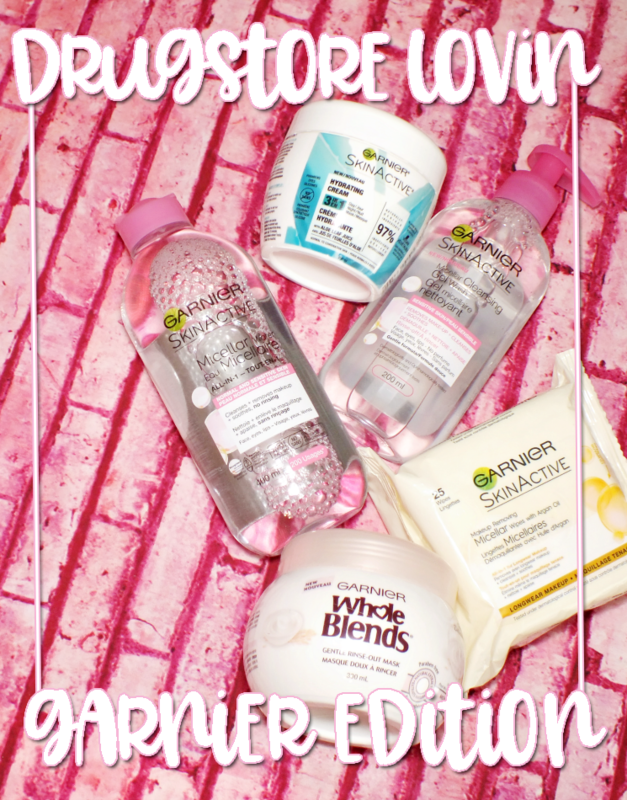 Tried any interesting brands lately?